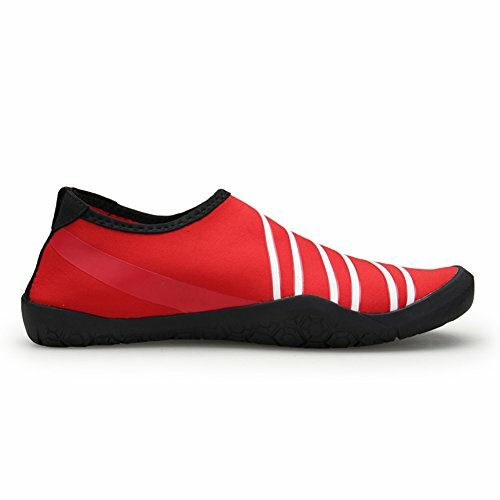 Material: Our water shoes are made by 92% polyester + 8% spandex upper with rubber sole. 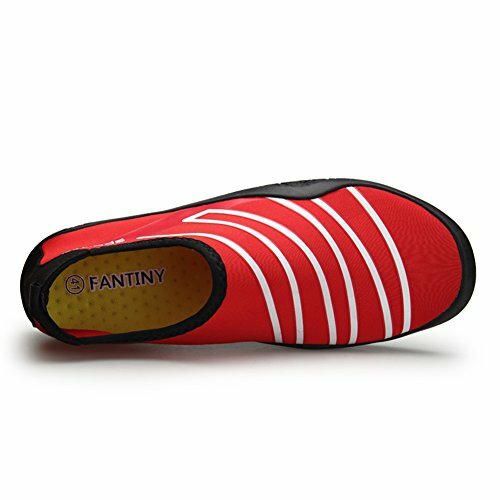 Lighter, softer, and stronger, durable suitable and flexible: you can take it everywhere conveniently. 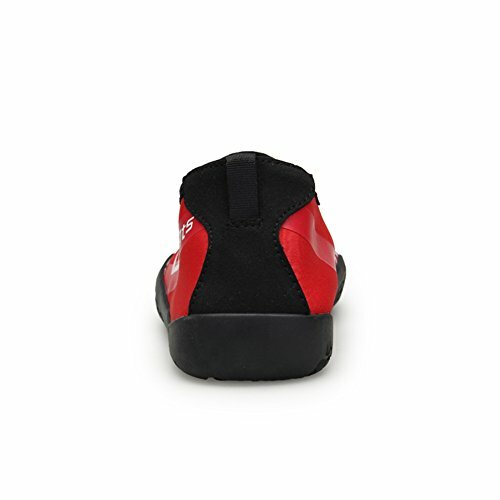 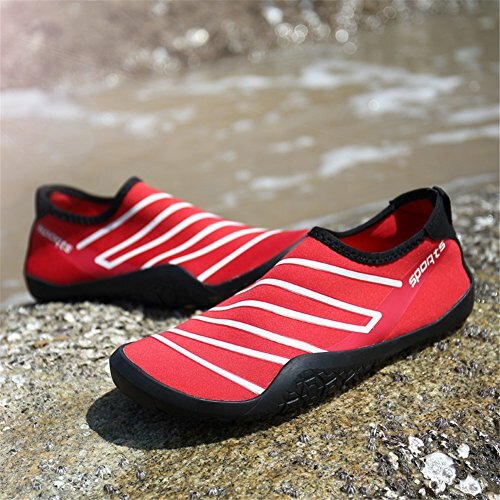 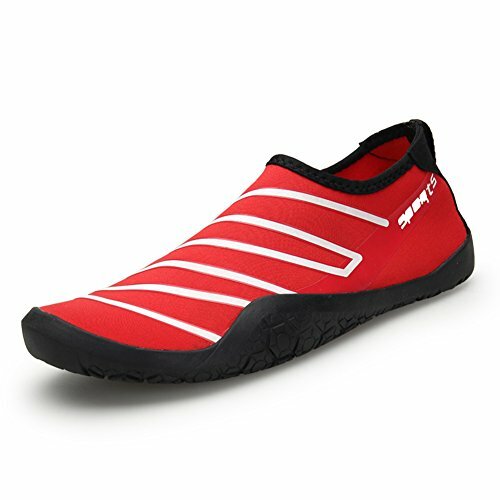 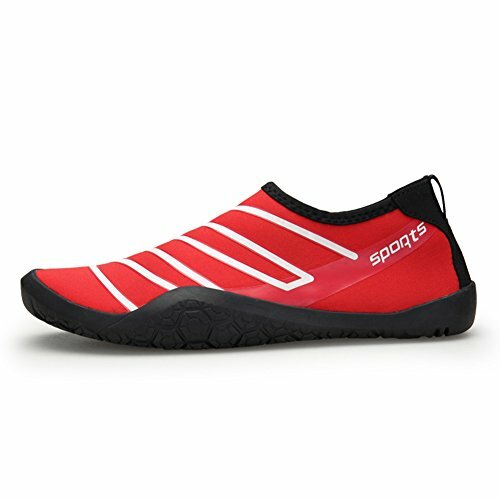 MULTI USE SHOES: Perfect for beach, water aerobics, surfing, weight training, wake-boarding, sailing, boating, windsurfing, walking, fishing, garden, lawn, car-washing and yoga.